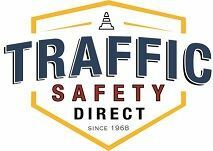 Thousands of pedestrians are killed in motor vehicle traffic accidents each year. And many thousands more are injured. Pedestrian safety needs to be a top priority. Painted crosswalk lines fade over time, and are often difficult to see. Be proactive. 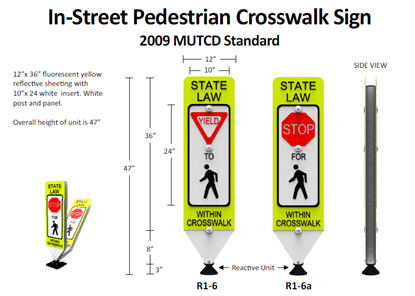 Protect pedestrians by alerting motorists to a crosswalk with our in street pedestrian crossing signs. Available in either “Stop” or “Yield”. Both signs are specifically designed to withstand impact. 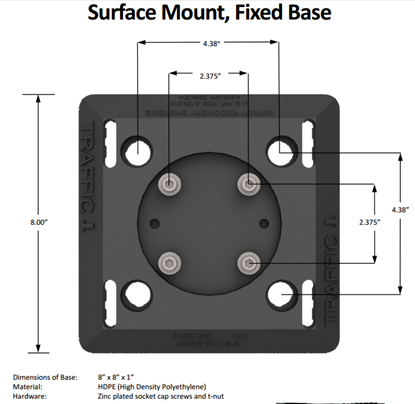 We offer portable and fixed bases to meet your specific needs. 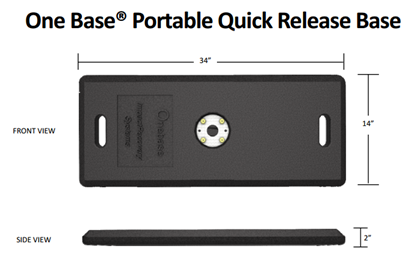 The portable base, made from recycled rubber, provides convenient transportability. 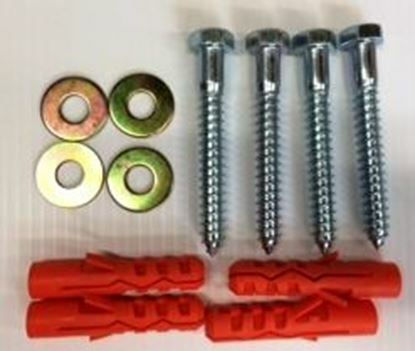 The fixed base, which is constructed from high density polyethylene plastic, is easy to install on the street with our Lag Screw Anchor Kit. 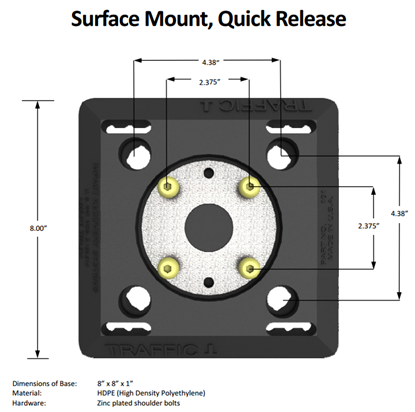 Its quick release design allows for no-hassle sign insertion and removal. 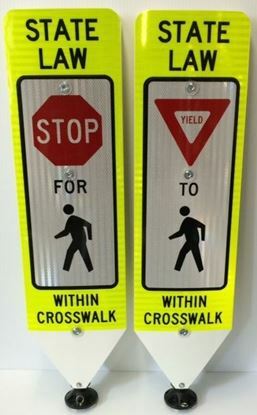 Over time, in street pedestrian crossing signs can wear or become damaged. 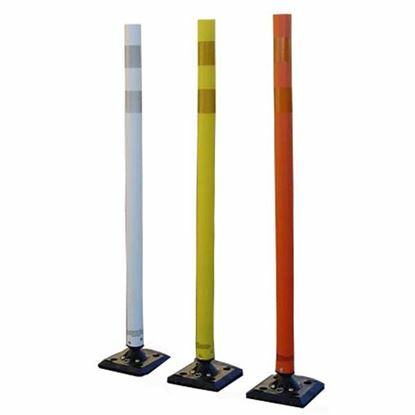 With our signs, you save on costs because you can simply replace the damaged parts. Worn wording? No problem, just purchase replacement panels. Broken base? Simply release the sign and insert it into a new base. 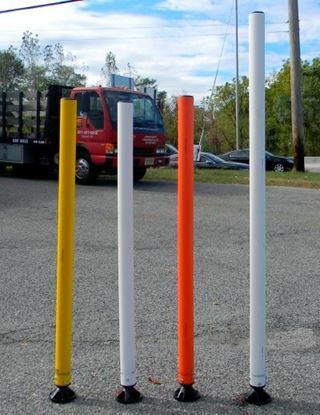 Protect pedestrians and save money on replacement costs with our quick release in street pedestrian crossing signs. IRS Blue Spring Assy. 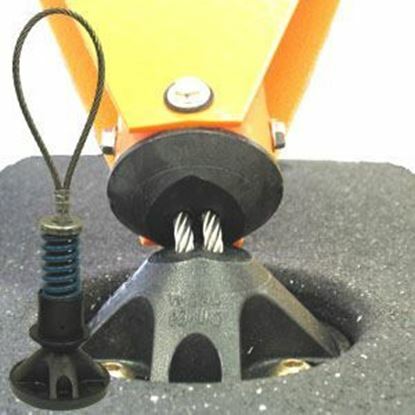 Replacement - IRS-C-SA-BL1-2F Replacement Spring Assembly for IRS posts with fixed bases.